This is a sponsored post written by me on behalf of Food Lion for IZEA Worldwide. All opinions are 100% mine. We lovingly and laughingly refer to our cats as our children (something I would have rolled my eyes at just a few years ago). I thought people who treated pets like family members were a little bit cuckoo. Well, I’ve joined the cuckoo club, because I love my four cats with a fierceness I could never have predicted. When they’re happy, I’m happy. When they’re grouchy or feeling sick, I feel miserable right along with them. And even when they tick me off, I simply can’t stay mad at them for more than five seconds. The other day I did some laundry for a trip, packed the clean clothes and realized upon reaching my destination that my bra straps had been chewed off rendering them completely unwearable. But I couldn’t stop laughing. Those four furry fools mean everything to me, even when they’re stinkers. That’s why I shop for their “groceries” at Food Lion as carefully as I shop for my own. I love my pets and want to provide them with a balanced diet, and I appreciate that I can find an affordable brand of pet products located in the same place where I buy my own groceries! I’m talking about Food Lion’s exclusive Companion line of pet products. The performance, nutrition and ingredients compare to National Brands, but the price is less than anything else in the category. 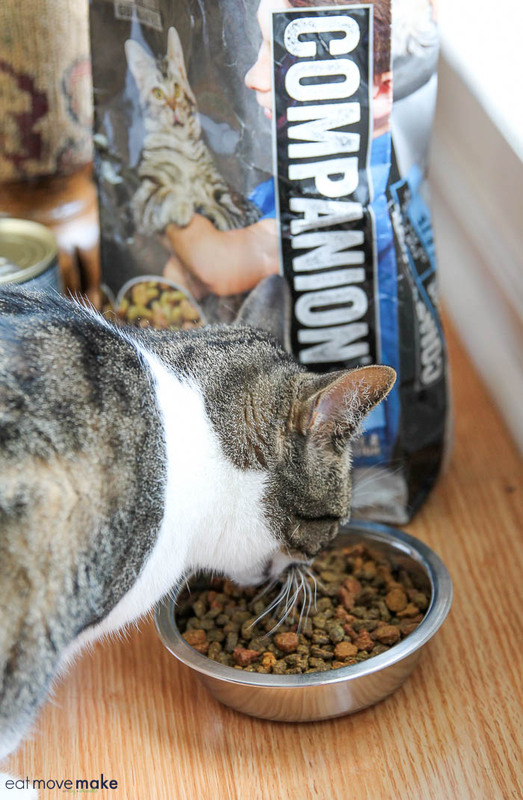 I’ve always fed my cats dry food for their daily meals, and Food Lion’s exclusive Companion pet food provides complete and balanced nutrition. It’s just one way I can give my fur babies the love and nourishment they need for long, happy and healthy lives. Because I can’t imagine a world without my pets! They love the way it tastes, and I love the super affordable price! Companion offers the best value in the category, and as with all private brand items, there’s a double your money back guarantee. I don’t think I’m going to need the guarantee. 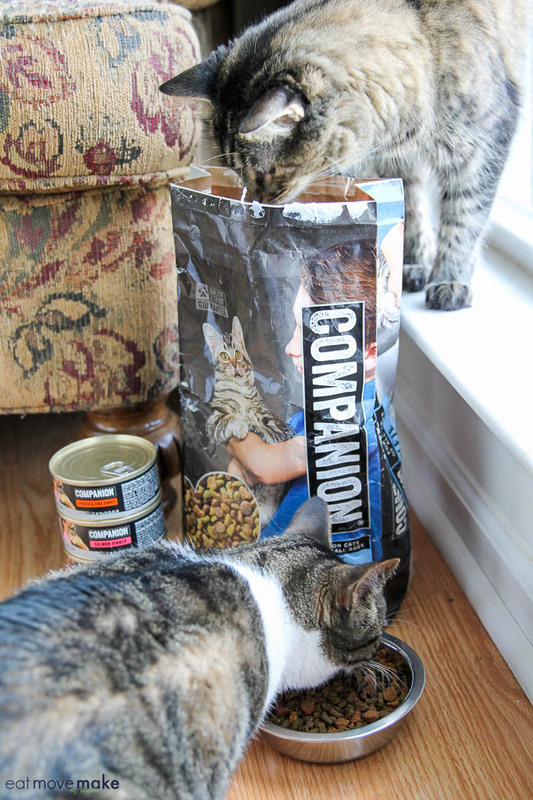 My cats obviously love Companion dry food, but they also love Companion wet food, which I give to them as an occasional treat. I think it’s funny how they always lap up every bit of the gravy first before starting in on the actual food. And I know when they’ve had a great meal because they immediately take a bath. Me? I take a nap. Different strokes. I can’t begin to tell you how good it makes me feel to know my cats enjoy eating their pet food and are as happy as they can be. I’m so grateful I can treat them like the three princesses and one prince they are with some seriously simple one-stop shopping at Food Lion. And since I can do it all while saving some serious money, I can use the money I saved to get them extra cat toys and treats. What can I say? They’re spoiled, and I’m a cat lady through and through. 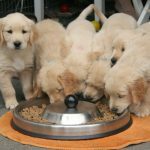 Choosing the best pet food from the hundreds of available options is one of the most important decisions a pet owner has to make as a healthy and balanced diet is vital to helping pets live long and healthy lives. 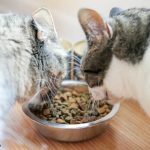 There’s a lot more involved in choosing the best pet food than humans may realize — from considering individual needs to finding the right ingredients. Talking to your veterinarian to help you find the best nutritional approach is the perfect place to start, and to help sort it all out, I turned to the expertise of Dr. Evan Antin, a veterinarian at Conejo Valley Veterinary Hospital and People Magazine’s “Sexiest Beast Charmer” alive. Thank you to Purina for sponsoring this post. All opinions are mine. 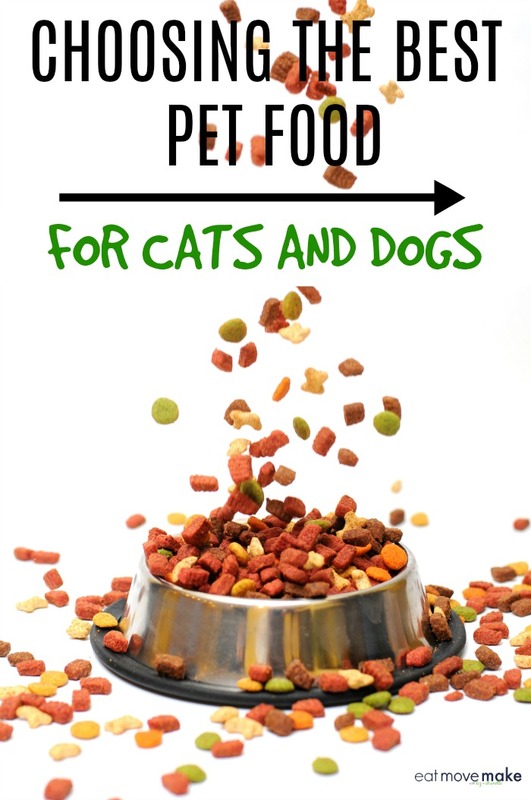 When choosing the best pet food, the most important consideration is whether it provides complete and balanced nutrition for pets. Take some time to understand the ingredients – such as grains and by-products – and the benefits they bring. 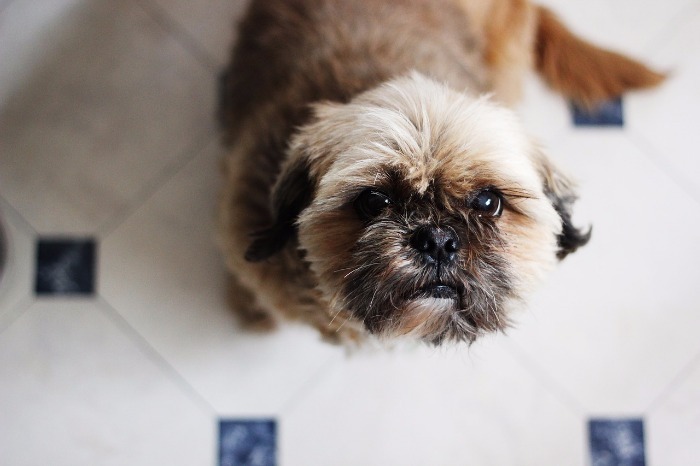 Grains – While cats are carnivores and require some meat in their diets, dogs are actually omnivores so they need a vegetable-based or lower-protein diet as part of their complete nutrition. Most of them tolerate grains well, and they’re a great source of complex carbohydrates which offer additional nutrients over simple carbs. 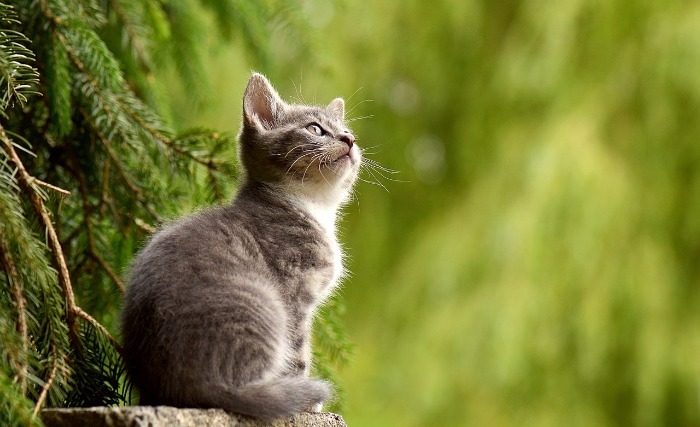 By-products – Often a scary word to humans, the truth is that cats and dogs in the wild typically eat the organs first because they’re highly palatable and nutrition-dense. 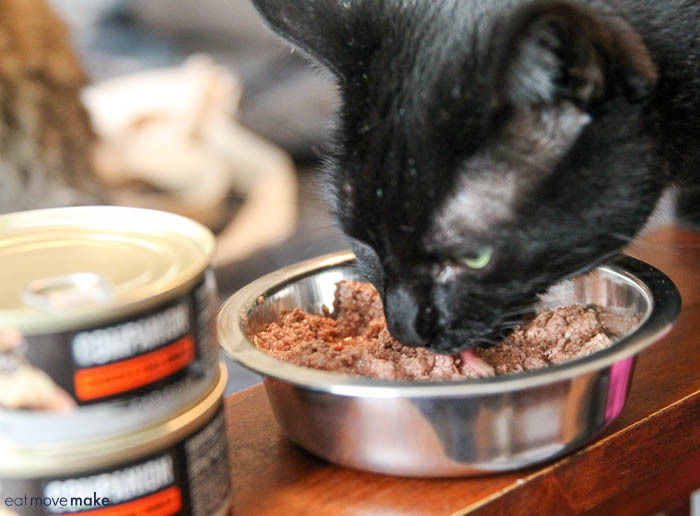 Therefore many pet food manufacturers use high-quality by-products – such as beef, chicken or pork that may include hearts, livers, kidneys, lungs and spleens. By-products aren’t inherently a bad thing and quite honestly, using the whole animal is responsible, not wasteful. 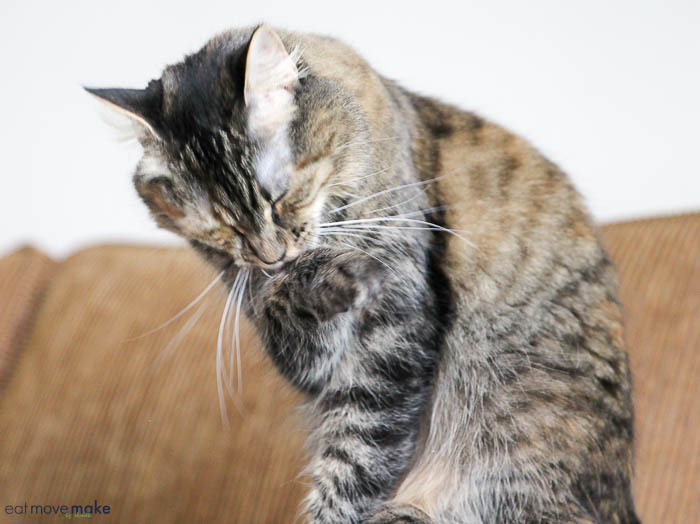 Raw – In theory, a raw diet alleges to mimick what might be eaten if pets were in the wild. 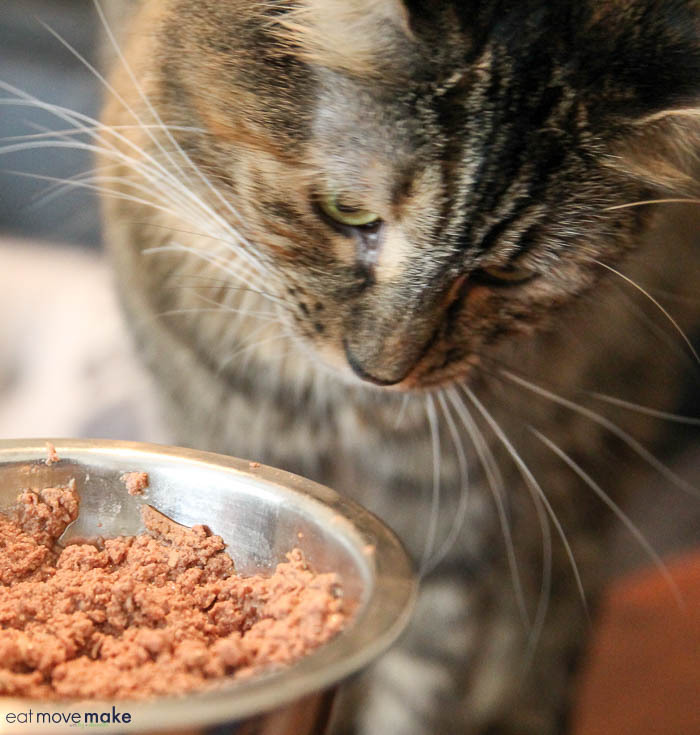 In reality, raw pet food may not provide all the necessary nutrients and could contain dangerous bacteria when food safety regulations aren’t met. Natural and organic/holistic – The use of these terms is widespread but the labels can be misleading as they’re not necessarily healthier than conventional foods. Buyer beware. 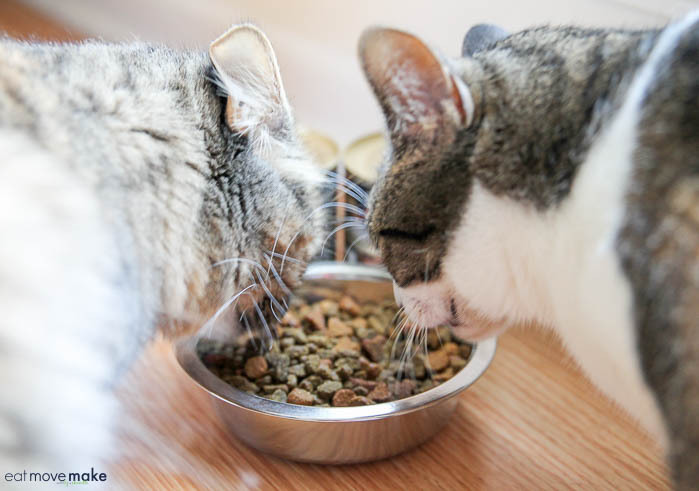 Pet owners should research the quality and safety of their pet food to ensure it’s meeting or exceeding FDA and AAFCO standards, and they can talk to their vet with questions or contact the pet food manufacturer directly through the website. The quality and safety standards are of key importance, but it also speaks volumes for the pet food manufacturer when they are doing continual diet and food research and have nutritional experts and a veterinarian on staff. Admittedly, it can be difficult to resist those big sad eyes begging for human food, and I admit I’ve fallen into the trap myself at times. But the oils and fats in our food, especially around the holidays can lead to health problems such as diarrhea, vomiting, and pancreatitis. Additionally, some food is highly toxic to dogs like onions, garlic, and chocolate. 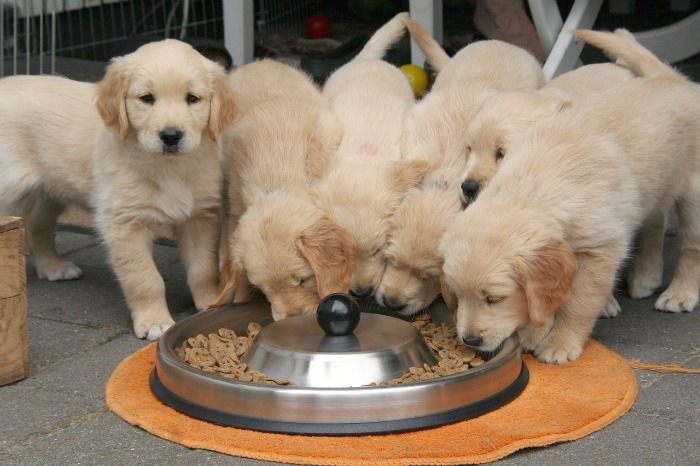 Labrador retrievers don’t have the “I’m full” hormone and it’s very common for cats to overeat when food is left out all day, so a better plan may be to have specific time blocks for feeding after which food is put away until the next feeding session. This can be helpful when a pet is overweight or when multiple pets in a household have different metabolisms or caloric needs.